“When In India…” | Fidel's Wandering Eye. They say “When in Rome, do as the Romans do”…a saying I’ve tried to adhere to in every city in every country I’ve ever visited. To truly experience a culture (especially as a photographer) one must allow oneself to become immersed entirely, to try new things, to fit in. Often times in my travels I’ve noticed foreigners in other countries acting like, well, foreigners. More specifically I see Americans abroad complaining that it’s too hot, or too cold, or too dirty. They walk around upset because they can’t find a McDonald’s, Burger King or Budweiser. In my opinion, finding myself in a country lacking the “comforts of home” is exactly the reason I went to that country in the first place! Tasting the local cuisine, walking the streets and soaking up the essences that make that particular country what it is…that’s what traveling is all about. 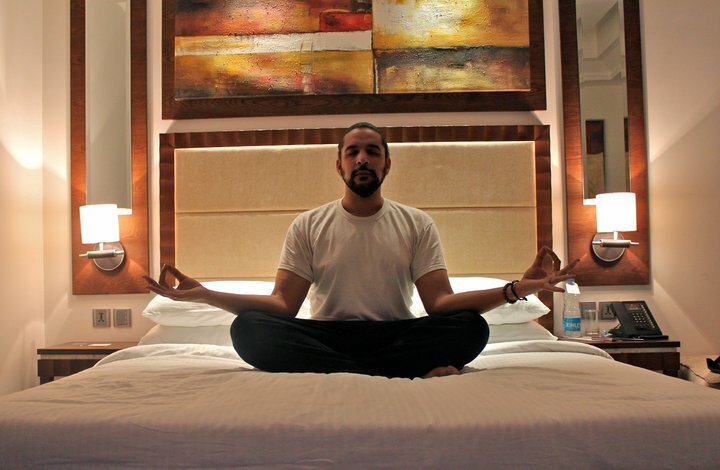 …and that is exactly why on assignment in Delhi, India, I found myself meditating, yoga style, for the first time ever.